There is an abundance of information that is necessary to successfully prepare, and ultimately manage, budgets at a college or university. Budgets address one of the most critical issues related to institutional success—resources. Each campus may approach the process differently, but by asking the proper questions, completing appropriate forecasting, and providing institutional support, the process is manageable. 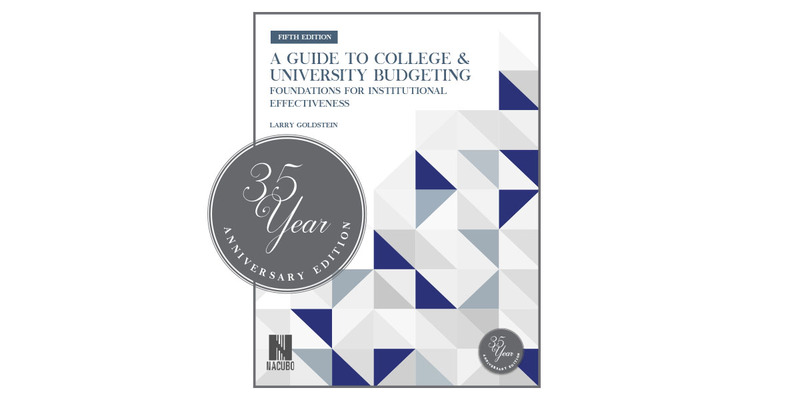 Author of the third, fourth, and now fifth edition of the perennial best-seller A Guide to College & University Budgeting: Foundations for Institutional Effectiveness, Larry Goldstein discusses in detail the principles of budgeting and how institutions can get the maximum value from the resources they have available. Reserve your copy today. The book is available for purchase through the NACUBO online store and will ship in April 2019. 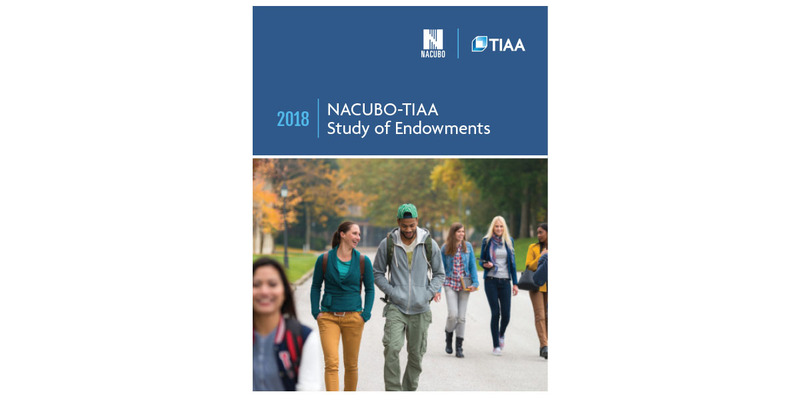 The 2018 NACUBO-TIAA Study of Endowments provides the most comprehensive analysis of endowment investment returns, asset allocations, and governance policies and practices at hundreds of U.S. higher education institutions and affiliated foundations. It provides extensive data to help institutions evaluate their investment returns and compare results by endowment size and institution type. The study will be released March 2019; participating institutions and study sponsors will receive a complimentary copy. It will be automatically uploaded to participants’ and sponsors’ MyNACUBO account. The study will be available for purchase through the NACUBO online store. For more information, e-mail NES@nacubo.org. Since 2014, NACUBO has highlighted campus efficiency success stories by displaying efficiency posters at the annual meeting. When you bring a poster to the NACUBO 2019 Annual Meeting this July in Austin, not only will you be illustrating the efficiency achievements of your own campus, you will also receive a registration discount. Each year, these graphics add value to the meeting experience by showing attendees how campuses are saving operational dollars while committing to environmental sustainability. The diversity of poster topics has included many campus successes that aren’t always highlighted in sessions, such as basic energy efficiency, advanced utility planning, water conservation, sustainability processes, zero waste structures, streamlining budget processes, and climate resiliency. To view previous examples and guidelines for poster entry and display, visit the NACUBO 2019 Annual Meeting website and click on the “Participate” tab. Grants and contributions. The Financial Accounting Standards Board Accounting Standard Update (FASB ASU) 2018-08, “Clarifying the Scope and the Accounting Guidance for Contributions Received and Contributions Made,” refines guidance for contributions by better distinguishing most research grants from transactions with customers accounted for under the revenue recognition standard (ASC 606). The December 5 webcast, Understanding and Implementing FASB’s ASU on Grants and Contributions, aimed to help attendees properly account for and report sponsored research grants, reason through complex pledge agreements, and determine the difference between barriers to entitlement and donor restrictions. Beneficial long-term investing. The Intentional Endowments Network supports colleges, universities, and other mission-driven, tax-exempt organizations as they align their endowment investment practices with their mission, values, and sustainability goals without sacrificing financial returns. During the December 11 webcast, Beneficial Long-Term Investing—Can You Really Have Your Cake and Eat It Too?, campus investment professionals introduced the IEN and discussed their methods for achieving risk-and-return objectives in their endowment portfolios while better aligning those portfolios with their institutions’ missions. Learn about the benefits of including environmental, social, and governance factors (ESG) in investment risk analysis and more. Endowment study results. The February 14 NACUBO Live! broadcast from the 2019 Endowment and Debt Management Forum will feature the session, “Results from the 2018 NACUBO-TIAA Study of Endowments.” Tune in to hear panelists review the results of the annual survey, the challenges endowment managers faced in FY18, the strategies that institutions used to confront volatile market conditions, and a preview of the challenges that investment professionals and CBOs will face in FY19 and beyond. Remote attendees will be able to view sessions in real time and ask questions. To view on-demand recordings or to register for upcoming webcasts, visit the E-Learning section of the NACUBO website.